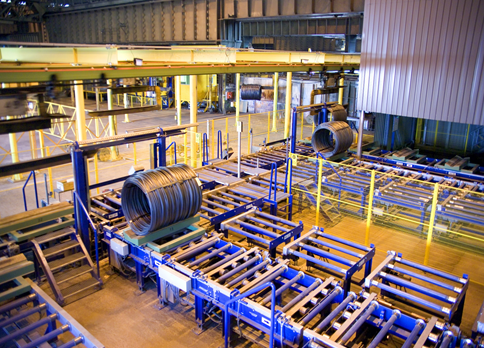 Corus Scunthorpe Steel Mill chooses AuCom for preventative plant maintenance. Corus is Europe’s second largest steel producer and their investments in plant machinery require downtime to be either eliminated or scheduled and predictable. AuCom’s IMS2 and CSX starters gave the site engineers the certainty to know their processes could operate with only scheduled maintenance. Corus is a subsidiary of Tata Steel with annual revenues of around £12 billion and a crude steel production of over 20 million tonnes. 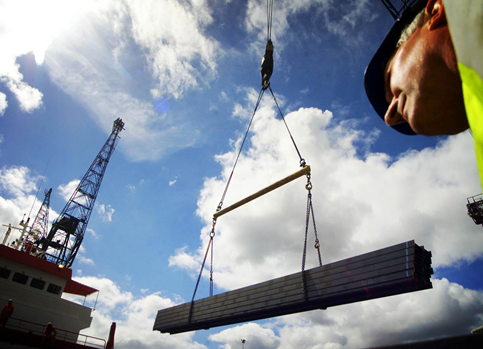 Corus Construction & Industrial supplies plates, sections, wire rod and semi-finished steel to a number of different markets including construction, stockholding, shipbuilding & engineering, energy, foundations and wire drawing. They came to Scattergoods, the local distributor of AuCom products, for starters to connect to a recycled water pit pump for cooling steel. Before installation, the motors started ATL and were often burnt out due to excessive start current and frequent multiple starts without adequate off time for cooling. Corus was looking for a smooth start to prevent damage to pipes, and current limiting to extend motor life. AuCom supplied a trial IMS2 soft starter for the customer to become familiar with the product. Sales engineers provided on-site assistance in teaching the site engineers how to commission and operate the starter as well as other application advice. After installation, the starter’s undercurrent protection indicated that the filters were blocked. This allowed the site engineers to schedule downtime for maintenance. When they trialled other major starter brands the Corus engineers reported a large spike on starting current, as compared to the smooth start on AuCom’s IMS2. After the success of the IMS2 installation Corus came back to Scattergoods for 4 x 110 kW CSXi starters for pumps on another water cooling system. Their third application was for extractor fans on ladle arc furnaces. The fans were originally fitted with inverters which were consistently failing. When the site engineers looked more closely at the application they realised no speed control was required. Corus required a smooth start with reduced current start, and 15 x 47 kW CSXi soft starters were installed by a local system integrator as part of a much larger project. The installation was commissioned and since then has experienced no further problems. Corus Scunthorpe is a steel mill in the east of the United Kingdom near Leeds. AuCom starters are used throughout the site including recycled water pit pumps for cooling steel and extractor fans for ladle arc furnaces. Site engineers required a current limit to extend motor life and a smooth start to prevent pipe damage. The starter had to interface with Rockwell SCADA for remote stop/start and monitoring.